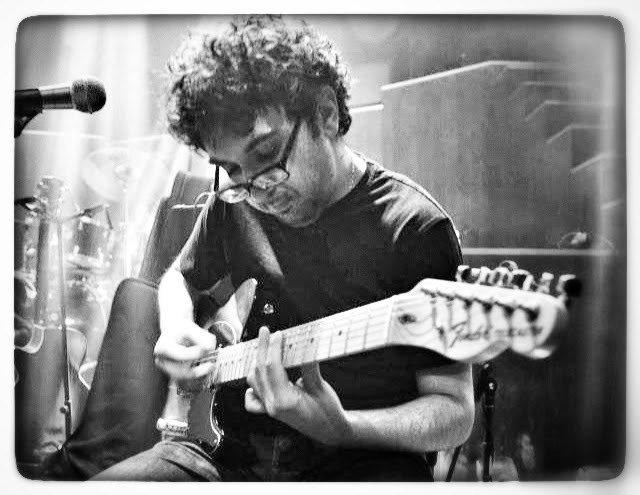 Following studies in sound engineering in Montreal, Canada, Fadi Tabbal relocated to Beirut in 2006 and promptly established Tunefork Recording Studios, a specialized workspace that offers customized services including full band recording, live sound and mixing. In addition to managing and handling all tasks at Tunefork, Tabbal’s work ranges from sound design and music composition to sound conception and music production. 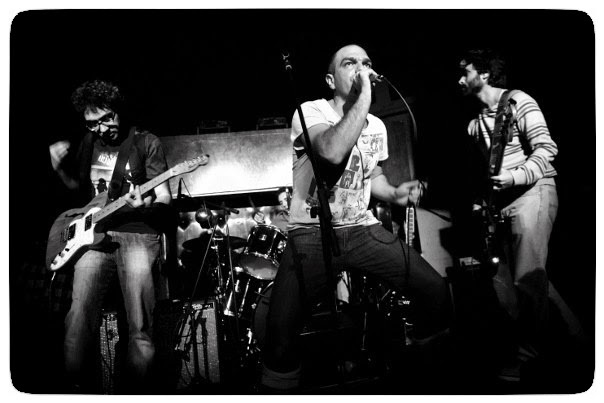 Tabbal is also a full-time member of several Lebanese bands, including psychedelic rock band The Incompetents, experimental rock quartet XEFM, and drone unit Under the Carpet. Under The Carpet is a musical trio based in Beirut, formed in 2011 by Swiss musician Paed Conca, French musician Stéphane Rives, and Lebanese musician Fadi Tabbal. Tabbal utilizes the electric guitar as his main instrument, and uses it along a decidedly ‘western’ approach, favoring blues and rock-derived inflections. He also relies on an iPad to create layers of rhythm and electronic percussion. XEFM is Tony Elieh, Charbel Haber, Abdallah Ko and Fadi Tabbal. All of them artists and musicians born from Pop, Rock, Punk and from an experimental tradition that belongs to the avant-gardes of the 20th century. He collaborates frequently with the punk band Scrambled Eggs. 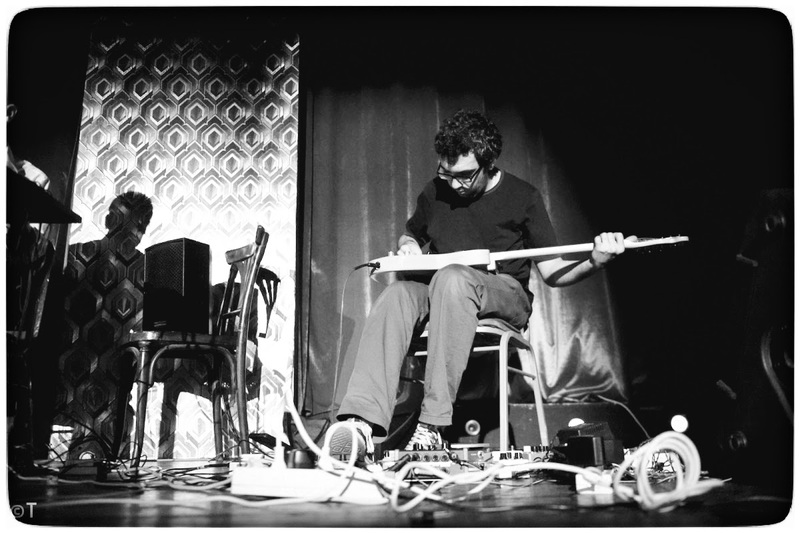 The Incompetents is a musical project Serge Yared started with Fadi Tabbal (arranger, producer, multi-instrument player) in 2007. It came to life almost by accident in November of that Year. Serge was singing with his distinctive out-of-tune voice at Fadi’s Tunefork Recording Studio when Tabbal suggested recording an alternative folk album where he could handle all the other instruments and help Yared arranging the songs he had written so far. 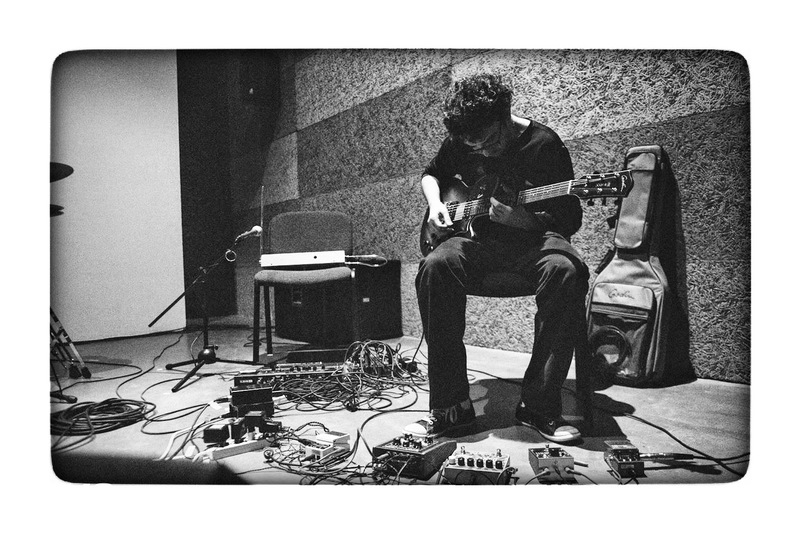 He recently released his first solo effort “On The Rooftop Looking Up” which consists of guitar pieces from stripped acoustics to ambient/shoegazing treatments. 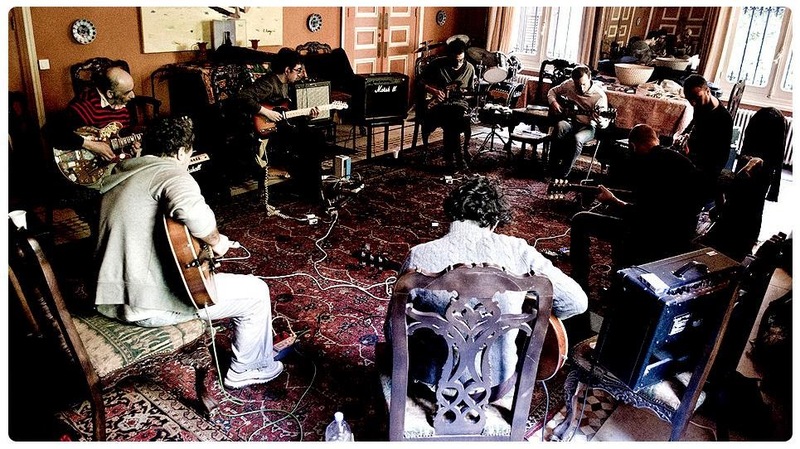 Now is working in Omarchestra, a collaborative album with 8 guitar and bass players, from the Middle Eastern region. It is a tribute to Egyptian guitar player Omar Khorshid, and he's also preparing an ambient folk album with Youmna Saba, a young Lebanese singer/songwriter. The first sounds I remember are household ambient sounds, such as the buzzing of the refrigerator in my parents’ kitchen, the humming of the ventilation shafts in the bathroom above the sinks, the loud noise of the air conditioning units… In my native country of Lebanon, there have always been problems with the electrical current, which means that the noise coming from these household appliances would modify and vary according to the surges in the current. Why do you use a guitar? The first songs I l remember liking were guitar-driven songs, especially The Beatles’ “She Loves You”. Since those early days, I was always attracted to the guitar. I find that the guitar allows me to create a broad and wide variety of sounds. Obviously, this is something that you can do with any instrument nowadays. But with a guitar, there is a specific quality, emotional and organic, intangible and difficult to pinpoint, that I do not find anywhere else. Music represents an escape from reality, from the troubles of everyday life. Often when I’m composing or performing, my intention is to relive certain memories and emotions that I have forgotten. Some of these memories are probably imaginary: they are created in the spur of the moment, and arise from feelings of nostalgia, melancholy, loneliness and alienation. Which work of your own, are you most surprised by, and why? Over the years since I have become an active musician, I have always collaborated with other artists. As a result, the one work I was surprised with the most was my solo guitar album, which I wrote and released in 2013. The thing about constantly collaborating with people is, you forget what it’s like to be alone with your instrument. Working alone forces you to think of yourself in first, second and third person. It’s a conversation really, between who you are, who you could be/have been, and who you want to be. So, a lot of weird feelings can arouse because you sort of become an unreliable narrator of your own story. It’s this (internal) confusion that arises such mixed feelings of nostalgia to memories that don’t exist, places you’ve never been to. One of my teachers taught me to never hide my knowledge or technical skills in any field, from others. This is the only way to teach and learn. No two persons can do the same thing in the same manner. The first record I bought was actually a cassette copy of Michael Jackson’s album, “Bad”. The most recent one is Robert Wyatt’s “Rock Bottom”. I possessed a CD copy of it, and was happy to stumble on the vinyl version in a second-hand store in Beirut, a few days ago. Other early records include U2’s “Achtung Baby” and Radiohead’s “The Bends”. For me, the concept of a good guitar is very personal. I’ve been playing on technically deficient guitars all my life. It is only recently that I’ve acquired a “good” one. So for me, a good guitar is really one that you love. And a bad one is the one that you stopped loving. There are too many pros and cons to be mentioned. And often, the pros are the cons. It is easier to make music and promote it, but this means that a lot of second-rate music will be made in the process. This makes it harder to find artists that matter (to me). Tell me about one musical work which has provoked a change in your music. Why? Radiohead’s “OK Computer”, which made me understand, as a musician, the importance of sound in creation. It is after hearing this album in 1997 that I decided to pursue studies in sound engineering. Electric guitar, I use a Fender telecaster going though a series of effect pedals. My output is either any fender tube amp or directly out to the mixer. The number of effects varies greatly depending on my setup, but I do have a few recurrent ones. You will rarely see me playing without the Electro-Harmonix Music Man delay, POG and Holy Grail reverb, the Boss Tu-2 Tuner and RC-2 looper, the Moog Frequency Box, an E-Bow and a bunch of metallic “workshop” tools. Acoustic guitar, I am good with anything. Which artist, living or dead, would you like to have collaborated with? I am a big fan of comic books, myself. So the one person or persons I would have loved to collaborate with are cartoonists Tim Sale or Frank Miller. I listen to a broad range of music; this is due to: the fact that I worked in an independent CD store for four years, the fact that two of my best friends are music encyclopedias, the fact that I run a music recording/production studio and of course my love of Sound. As a musician I can safely say that I am equally influenced by thee types of music. A- Americana and Folk: My mom is a big Country music lover, so I started, very young, listening to Emmylou Harris, Dolly Parton, Johnny Cash… and then with time I went into guitarists like John Fahey, Ry Cooder (Paris, Texas) and Glenn Jones, British Folk like Nick Drake and Vashti Bunyan, American Folk like Jackson C Frank, Bob Dylan and Neil Yound (Dead Man) and Modern Folk like Sufjan Steven and M. Ward. B- Psychedelic infused rock, blues and folk: I love the disruption (in terms of arrangements and sounds) of what we are expected to hear in a piece of music. This is what I call psychedelic. Syd Barrett, The United State of America, Captain Beefheart, Tom Waits, Neutral Milk Hotel, and Animal Collective (among others) are all large influences on my compositions. C- Post Rock, Ambient and Krautrock rock: I guess these can be easily linked to my actual guitar work. Post-Rock (Swans, Godspeed You Black Emperor, Talk Talk…), Ambient (Brian Eno, Fennesz, David Sylvian), Krautrock (Can, Manuel Gottsching…) artists are definitive impacts on me.